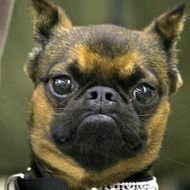 I have been a member of Cleveland All-Breed since I was in college, starting with Obedience, then Rally, now in Agility. I have been an instructor for many years, mostly in the beginner levels, in all three. 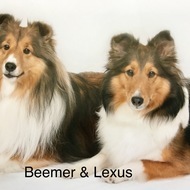 Currently I am co-instructing in an Intermediate Agility class, acting as Trial Secretary for most of the CABTC Agility trials, showing and training my Sheltie Buster, and starting a new dog, Max. 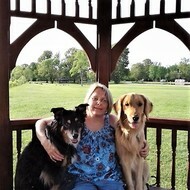 Bonnie has owned and trained dogs for 24 years now. She trains and competes with her dogs in Obedience, Rally and Agility. She has taken her dogs to 2 Companion Dog titles, a BN and RE (Rally Excellent), and Masters titled in both Standard and Jumpers Agility. Bonnie currently has Labrador Retrievers and All-American dogs! Lois has trained dogs for 12 years now. Currently owns 2 Golden Retrievers, and Border Collie. She has owned and trained Dobermans and German Shepherds. Trains and exhibits in Obedience, Rally, Agility, and Hunt work. Her dogs have earned UDX, UD, Re, JH, WC, BN, GN and CGC titles. Marty has been involved in training and competing with her dogs since 2004. 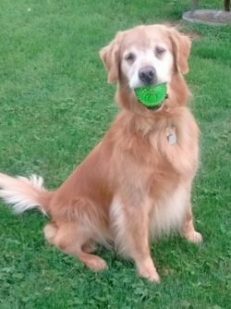 Currently she owns and trains her Golden Retriever in Obedience and Rally. She currently is an obedience instructor at CABTC. 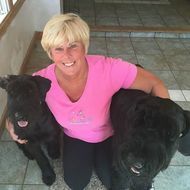 Amanda has been training her Giant Schnauzers since 2012. Is currently teaching Obedience. Bernadette has been trained dogs from 1997 - 2000 and renewed her interest in training in 2010 to present. 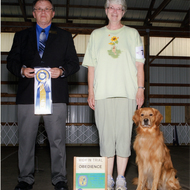 Her Golden Retriever Daisy held a PCDX and RE titles and her Westie, Billie a CD. Her Golden Retriever Ivy is still a puppy work in progress!! Currently teaching Obedience. Diane has been training dogs for competition since 1979. 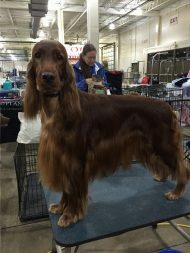 She has Belgian Tervrens and has achieved some of the highest titles available from the AKC in both Obedience and Conformation. 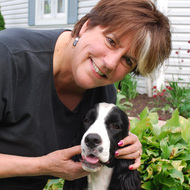 Diane is the Director of Obedience training and instructor in classes such as Attention and Open Obedience. Alice has been training dogs, in her own words "for a very long time"! 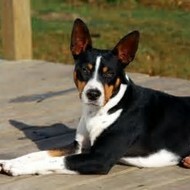 Currently competes in Agility and Obedience with her Rat Terrier "Annie". She is a long time member and Obedience and Agility Instructor. 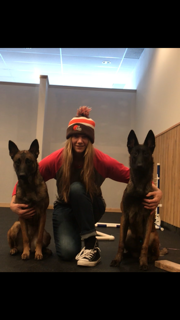 Rhadine has been training and competing with her dogs since 1990. She owns and trains Shetland Sheepdogs, German Shepherds, Mixed Breeds, Schnauzer and Setters in Obedience. Currently is an instructor in Puppy II. 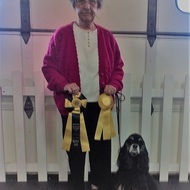 Shirley has trained and competed in obedience for many years with her Cocker Spaniels. Currently instructing FS1 and FS2. I began training and showing dogs at 8 years old in 4-H. 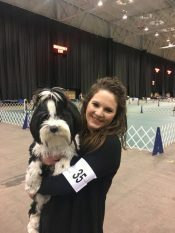 I currently trains and shows Tibetan Terrier for Rally and Obedience, I also have a retired All-American/rescue mix. 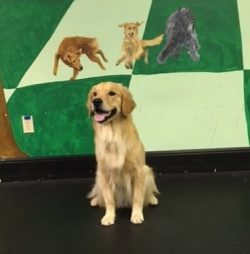 Currently instructor for Foundation Skills I.
Coreen has trained and competed with her Golden Retriever's since 2002 in both Obedience and Agility. Currently, is an instructor in Foundation Skills I. 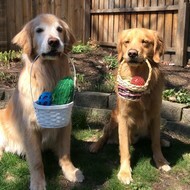 Her Golden Retrievers are Eddie, aka Lakesydes Eagles Nest Cd, Gn, Rae, OA, OAJ, RATN, TKA ​and Kipper, aka Sunfire Green and Gold CGC, BN, PCD, RN. I’ve been training over 10 years. Have CGC titles on both of my English Springer Spaniels. My oldest springer retired with titles in Agility: OA and OAJ. Three years ago I adopted Springer mix from animal shelter. 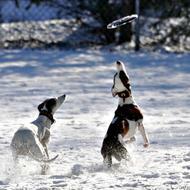 For the past two years we have actively trained several obedience and agility classes. Started trialing in 2018. 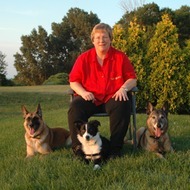 Currently teach Foundation Skills I.
Cathy has trained and competed with her dogs since 1979. 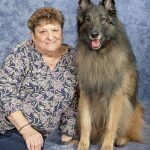 She has owned and trained Irish Setters, Whippets, Norwegian Elkhound, Flat-Coated Retrievers over the years. Currently is an obedience instructor for Ring Ready class. Training since 2013, Sandy has competed with her Dobermans and Boston Terriers in many AKC events. Currently teaches Obedience. Debbie has been training and trialing dogs since 1990. She's had Newfoundland’s, Golden Retrievers, Pugs, and mixes. Her dogs have been to the CDX level in AKC Obedience. She is currently Obedience instructor. Lori has been involved with animals for many years. Including owning horses for over 30 years. Recently she started training dogs again and now has 4 Shelties and play in Conformation, Rally, Obedience, Agility, and Herding. Currently teaching beginning Rally on Tuesday nights. Suzanne has been training for six years and has Golden Retrievers. Currently she is an instructor in Advanced Novice. Rosemary Janoch earned her first Am/Can UD title on a Rough Collie named Jessie in 1981. She then began teaching Obedience classes. She has since switched to Golden Retrievers and has put UD titles on 6 different dogs with two of them earning OTCH titles. All of her dogs, including the collie, have earned HITs. Her latest obedience dog, Buck, recently finished his UDX 2 title in 2017. 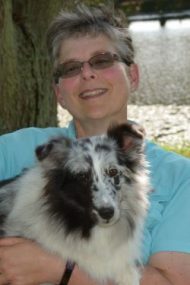 Rosemary has been a member of CABTC since 1979 and is currently teaching a daytime Obedience class on Tuesday mornings. 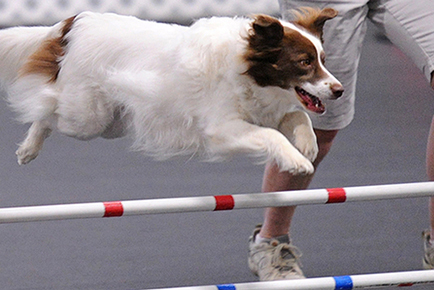 Rosemary Janoch has been showing in AKC agility trials since the beginning of their trials. She earned her first MACH title in 2001 on her Golden Retriever, Dillon, and just finished her MACH 8 title on her Golden, Buck, in 2017. 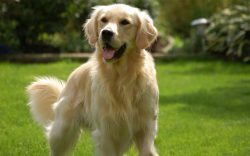 She has earned MACHs on six different Golden Retrievers and is currently working on the AGCH on her youngest Golden, Finn. Currently teaching a daytime agility class on Thursday mornings. I’ve been training dogs since 2000 for Conformation, in 2006 started training in Agility and Rally. Recently started Obedience training. I breed and show Tibetan Terriers. My TT’s are Grand Champions and have multiple titles in AKC, C-WAGS and Teacup Agility and Rally. Currently teach Puppy II. I've been training dogs since 2000. Yann was my first Agility dog, Samson is my second. Our highest titles are MXJ and MJB. Hank, my third Agility dog, is just beginning training (he's only 10 months old). All my dogs are American Field Labrador Retrievers. Currently teaching Puppy class. Jenny has been training and competing with her American Stafford shire Terries and Belgian Malinois since 2000 in Obedience. 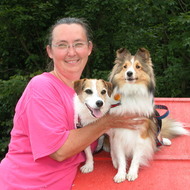 Currently teaches Foundation I.
Cindy has been training dogs in Obedience since 2005. She has had Golden Retriever, Australian Shepherds, Alaskan Malamute, and mixed breeds. Currently is Obedience instructor. 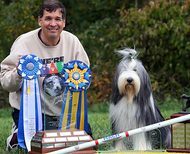 Jeff has been training and competing in Agility since 2009 with his Bearded Collies. Jeff is also an AKC Agility Judge with a vast knowledge of Agility course design. Currently he teaches a much sought after course at CABTC, titled Trial Challenges, where sections recently encountered courses at local trials are analyzed to determine the best handling options for each team. 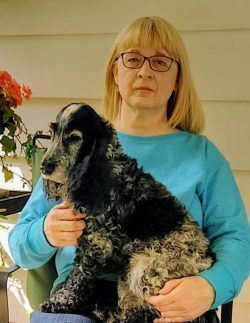 Since 1997, Laurie has competed in Obedience and Agility with her Standard and Miniature Poodles. Her Miniature Poodle Hope has earned her Masters Agility Championship (MACH) more that once. ​Currently instructs Beginning Agility. 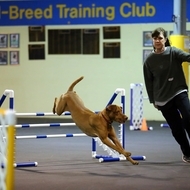 Currently trains and competes in Agility with her Vizsla Scarlet. Scarlet now holds the OA (Open Agility), OAJ (Open Agility Jumpers), and NF (Novice FAST) AKC Agility Titles. She has been teaching Pre-Agility since 2015. I have been instructing at CABTC for 10 years. I am a Registered Architect and a Lake Erie Charter Captain. I spend lots of time on the water with my Portuguese Water Dogs (PWDs). I'm currently one of the Foundation Skills III instructors, I've been teaching this class for over 5 years. My co-instructor and I get great enjoyment watching our student dogs and handlers progress within the 7 weeks. My past activities at CABTC have included being a Board Member and past Obedience Training Director. I've been an instructor at all levels of Foundation Skills I, II, and III program. I participate in multiple dog sporting activities including: Agility, Obedience, Rally and Water Trials with my PWDs. My first PWD Marina UD, RE, NA, NAJ, WWD, SROM participated in National trials from Oregon to Rhode Island. I am currently trialing with my newest additions: Fisher and Keel. Karen has trained dogs since 1983. She has owned and trained Minature Schnauzers, Labrador Retreivers and Golden Retrievers. Her current Labrador puppy is Joey. 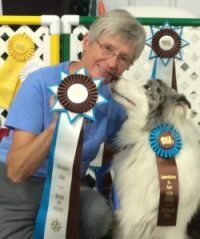 Karen has had multiple HIT's (high in trial) awards and finished UD (Utility Dog) titles on every dog she has trained as well as titles in Agility, Rally and Hunt tests. Currently she is teaching Puppy Obedience on Mondays at CABTC. have been an instructor at CABTC since the mid-seventies, and taught all levels of obedience, and for several years beginning Agility classes. In Agility, I taught all level. Currently I’m teaching Utility and Novice Obedience classes. I started out in this sport with a dog I trained through Open. Next was my corgi and my first utility dog. I then became smitten with golden retrievers. I have put two and a half OTCH's (Obedience Trial Champion) titles, 3UKC (United Kennel Club) UD's, 3 CKC (Canadian Kennel Club) OTCH’s, a Bermuda UD, an MX and MXJ (Agility Titles) 2 tracking titles, 4 Rally Excellent titles, 3 junior hunt titles and 4 WCX (Golden Retriever Working Certificate) titles. The journey with all the wonderful people I have met along the way is amazing and the dogs that have kept me going through thick and thin are Gods greatest miracles. I have been training my own dogs since 1986 and started teaching puppy classes at CABTC in 1998 and currently teach a puppy class on Tuesday evenings. I have owned several different breeds as well as a few mixed breeds over the years. 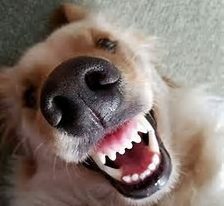 I have had a Springer Spaniel, 2 Cocker Spaniels, a Yorkshire Terrier, a Borzoi, a Cavalier King Charles Spaniel, a Pomeranian and currently I have 2 English Cocker Spaniels. 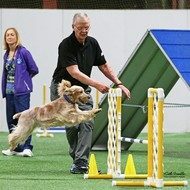 I train and show my dogs in agility, obedience, rally, tracking and conformation. I have put CDs on 4 of my dogs, CDXs on 2, UDs on 2, a TD on 1 dog. In Rally 1 Cocker got her RA and the English Cocker got her RE. Four of my dogs are titled in Agility. The current dog I am running is working on her MACH 5. I also am a CGC evaluator and a Registered Veterinary Technician. Joan has owned and trained dogs for the past 38 years. Her main areas of concentration have been obedience, field, and some agility and tracking. She and her dogs have 4 Obedience Trial Champion titles, JH, WCX titles as well as Agility Excellent and Jumpers, Masters and Masters Jumpers and TDX (Tracking Dog Excellent titles. Joan owns and competes with her Golden Retrievers. Betsy has trained dogs since 1996. 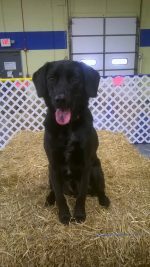 She is active in Obedience, Rally and Agility with her Labrador Retrievers. She has put AKC titles on her dogs in all three disciplines including Rally: RAE(3) and halfway to #4; Obedience: CD and Agility: NA, NAJ, NA,NAP, NJP, OAP, OJP, AXP, AJP. I enjoy teaching Rally Obedience because it is a great foundation for regular Obedience and Agility. Because a handler can talk to and encourage their dog, Rally helps build a bond that carries over into other training areas. Rally is great for both the novice and experienced handler and is lot of fun for both members of the team!! Currently Betsy is CABTC's Advanced Rally Instructor. 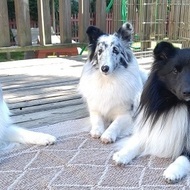 Training dogs in obedienc since 1970, Joanne's Shetland Sheepdogs compete in a varity of dog sports. Joanne Currently teaches Advanced Rally. Jan has trained dogs since 1976, (41 years). While her main area of focus is Obedience, she also competes in Field, Rally, Agility and Tracking. Her dogs hold three (3) OTCH titles, six (6) Utility titles, Field titles - JH, SH and WCX, two (2) TD's and MX and MXJ titles in Agility, MACH (Master Agility Champion), TD (Tracking) and numerous other titles. Jan has Golden Retrievers and Brussels Griffin’s, but has owned and trained Toy Manchester Terriers, Miniature Schnauzers, Soft Coated Wheaten Terriers as well. She states " I am a retired teacher of children. I teach people to train their dogs, I teach and train my own dogs. I guess, I've found my calling!" Carolyn Lincoln, DVM has been practicing veterinary medicine since 1990 and owns Play To Behave Veterinary Behavior Counseling. Carolyn has had some experience in herding and also competed in agility for 10 years with three dogs. Pepper, her Australian Shepherd, has her MACH ( Master Agility Champion) and has competed in the AKC Agility Nationals. Debbie has been training and trialing dogs since 1990. She has had Newfoundland’s, Retriever Mixes, Golden Retrievers and Pugs. 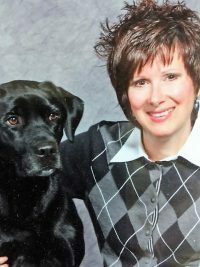 Currently a member and obedience instructor with CABTC, Debbie has taken her dogs to the CDX level in AKC Obedience. Suzy has been training and trialing her Labrador Retrievers since 1998. She competes in Obedience. Agility and is active in Tracking as well. Currently Suzy teaches for CABTC on Friday mornings in our Ring Ready class. Chuck has owned and trained English Cocker Spaniels since 2006. His current agility dog, Louie has complete his MX, MXJ, and OF (Open Fast) titles and is working toward his MACH. Currently, Chuck is the web master for CABTC.org and teaching Agility 101 with Jane Bush on Wednesday Mornings. I am currently an instructor in beginning agility, conformation and summer puppy class. Dogs have been a part of my life for forever, but as a young adult I acquired my first pure-bred dogs and started competing in obedience competitions. Shortly after being introduced to the dog show world through obedience trials, I started breeding my English Springer Spaniels under the Sademont kennel name, trying very hard to keep the trainability and intelligence in the breed while maintaining the health and genetic integrity. Most of my spare time has been spent competing and promoting the sport of dog training. I have titled dogs in obedience, tracking, conformation and agility. I have maintained a multi-dog household for more than 30 years so I usually have one senior dog, one mid-life dog and one youngster in my house at all times. It’s fun to see the cycles of life and be reminded that the youngsters become the seniors way too fast. I love teaching at CABTC. There is nothing more rewarding than seeing someone progress with their dog, and if the students choose to compete, then I get to celebrate their successes with them! 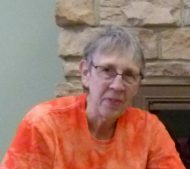 Cheryl has been training and participating in dog sports for 50 years. 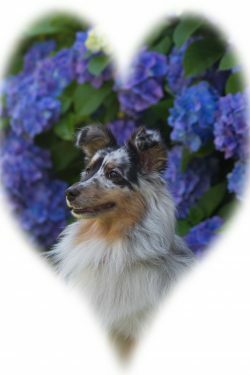 Over the years her Aussies and Shelties have accumulated so many titles that most of us find it a daunting task to write out just one of her dog’s names! She is an Agility Instructor, teaching Excellent Agility at CABTC and competing at the highest levels of the sport. She is also one of the most knowledgeable herding people in the Cleveland area. In real life, Debbie Sacerich is a Social Worker for the Aged but her true passion is dogs. 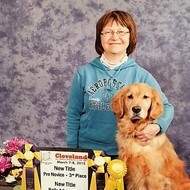 She has been a member of Cleveland All-Breed Training Club since her teens and has served in various capacities including but not limited to President and Agility Trial Chairperson. Since 1994 she has been the Agility Training Director as well as an instructor for advanced agility. Debbie is a popular presenter at various clubs where her expertise covers a wide variety of topics, with a particular fondness for distance work. She is also a published author having several articles appear in Clean Run. 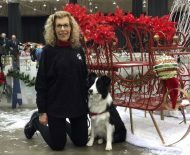 Debbie’s newest addition, Do It, a Border Collie, is a testament to early, positive training and will be making his agility debut in 2011. And Debbie has a special place in her heart for her rescues, MACH 3 ADCH Quick CDX XF G-Ch and MACH Bright XF PD2, both Belgian Malinois. Quick was the #1 Malinois in Front and Finish for both Standard and JWW for 2005. Her other accomplishments include having two dogs achieve the ADCH in USDAA and being invited to both the 2006 and 2007 AKC Invitational. Debbie’s past dogs include ADCH Buddy MX MXJ (GSD), Jewel AmUDT CanUD, a Standard Poodle, and Ch Dare CDX TD (PWC). 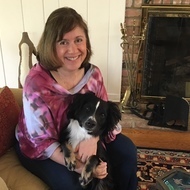 Stephanie Simon-Bartos has been training dogs since 2010. 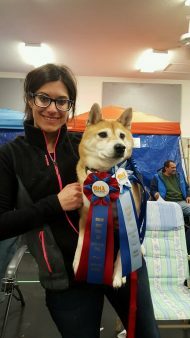 She owns and trains her Shiba Inu Bandit in Obedience, rally, barn hunt, agility and cwags, nosework. In real life, I’m a payroll processor with WKYC-TV a division of TEGNA. I’ve competed and achieved major titles such as an ADCH in USDAA, MACH in AKC, C-ATCH in CPE, and RL2-X in APDT-Rally and in National levels for both USDAA and AKC. Currently run Rottweiler name Nike and training a young Sheltie named Peaches who came from a rescue. I have lots of fun with my dogs in and out of the ring. Currently teach Agility class, focus on varous agility skills. Brad has been training his own dogs since 2012. 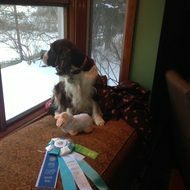 His concentration has been on Agility, where he titled his English Springer Spaniel from Novice thru the Open classes. He currently owns and competes with both his dogs a Border Collie and his English Springer Spaniel. His dogs hold NA, NAJ, OA and OAJ titles. 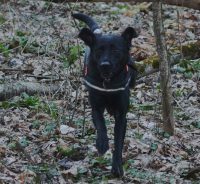 Kathi has trained dogs in Obedience, Agility and Search and Rescue since 1999. She has put CD, MX and MXJ titles on her dogs as well as Search and Rescue Certification. Currently, own Labs and Australian Cattle Dogs. 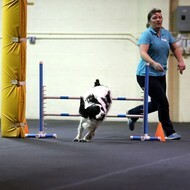 Julie Weir is a well known and very successful Agility trainer and competitor in the Cleveland Area. Known for her handling and teaching skills with her Whippets, she teaches Agility classes for both beginners and advanced students at CABTC. 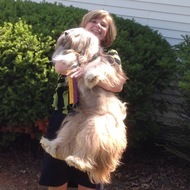 She has attained the multiple MACH titles as well as other AKC titles. Kay has trained and competed with her Papillions since 1998. Her main areas of interest are Obedience and Agility. 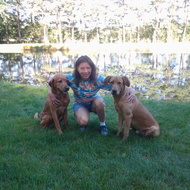 She has taken her dogs to UD (Utility Dog) in Obedience and MACH (Masters Agility Chanpion) in Agility. She teaches Foundations Skills 1 and Adv Obedience classes. 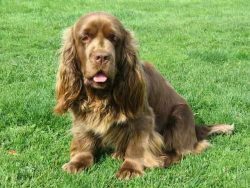 I've been training my Sussex Spaniel for about 2 years now, mostly in Conformation and Obedience. We are working on Beginner Novice and our Grand Championship! I'm also a RID (Registry of Interpreters for the Deaf) nationally certified ASL interpreter!